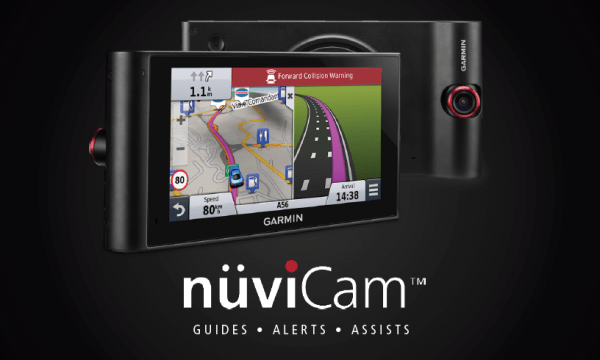 Garmin have today announced the nüviCam, a unique entry into the SatNav market that combines two products into one, a SatNav and a DashCam. Using this, the product doesn’t just offer you guidance as well as the ability to record videos with precise GPS information, but takes it further, with features such as Lane Guidance System and Forward Collision Warning. Garmin Real Vision, which lets you look through your camera as you approach your destination, actually points at the house (or destination) you’re visiting. A rotating DashCam that can be configured to look at the road in front. This records videos every time you are driving, while logging accurate GPS information. The camera will automatically save a video on collision, including the GPS information. This is through collision detectors built into the system (or acceleration detection). The unique design is actually much like a camera, with a camera button on the top, which allows you to take further photos or record videos if there is an incident. Once again, these come with GPS information included. The camera goes further than just recording videos. 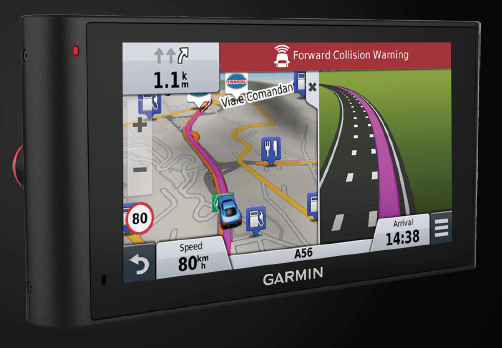 You get warnings such as Forward Collision Warning as well as Lane Guidance System thanks to the clever vision algorithms developed by the Garmin team. This means that you’ll be warned if you ever drift out of a lane, or are too close to the car in front. Garmin Real Vision – it actually shows you the view outside your car live and points towards your destination as soon as you get close enough. Optional BC 30 Wireless Backup Camera, acts as a rear view camera and helps you park. Smartphone Link App for integration with your phone, allowing you to make phone calls, and get up to date information via the internet. The Garmin nüviCam is expected to be available in May of 2015 with a suggested retail price of £299.99. For more information, visit www.garmin.com/nuvi.